Yes, our Congress. It’s doing that. The collapse of Mohammed Morsi’s Muslim Brotherhood government in Egypt will make life more difficult for Syria’s rebels. And now, according to Reuters, we learn that the House and Senate intelligence committees are blocking President Obama’s ill-conceived idea to send weapons to those selfsame rebels, many of whom are members of the Syrian branch of the Muslim Brotherhood and, on their right, Al Qaeda. Congressional committees are holding up a plan to send U.S. weapons to rebels fighting Syrian President Bashar al-Assad because of fears that such deliveries will not be decisive and the arms might end up in the hands of Islamist militants, five U.S. national security sources said. Now that Morsi is gone, the Syrian rebels may have greater difficulty winning support outside Egypt. Along with the Al Qaeda types, such as the Nusra Front, which has support from Qatar, the Syrian Muslim Brotherhood was the backbone of the anti-Assad forces in Syria. In recent weeks, Morsi has cut ties with Damascus and joined a pro-jihad conference in Egypt. Meanwhile the rebels, ever fractious, are becoming more so. The ersatz prime minister of the main, American-backed rebel organization has quit, further roiling the movement. It appears that Saudi Arabia and Qatar, the two chief backers of the anti-Assad forces, are themselves squabbling. But [Hitto] faced several challenges: despite the visits, he was seen by some rebels and activists as out of touch with the country, and some members of the often-squabbling coalition complained that he was a favorite of the Syrian Muslim Brotherhood and of its main foreign backer, Qatar. 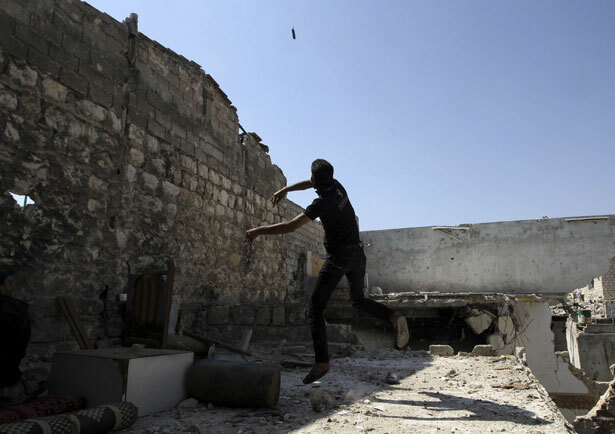 Many in the Syrian opposition say Qatar wields too much influence in the movement. Mr. Jarba, who is seen as close to Saudi Arabia, a rival of Qatar for influence among the rebels, was seen as a counterweight to Mr. Hitto and his Muslim Brotherhood backers. The shrinking of political Islam in the Middle East continues, let’s hope. Next target: Prime Minister Ergodan in Turkey. Robert Scheer calls out the US for its hypocrisy in Egypt.